You care about your lawn’s health and appearance—you want it to be the best on the block, so maybe you are looking to hire a lawn care professional that can help you with the maintenance tasks required to reach your goal. But choosing the best lawn care company isn’t an easy decision. 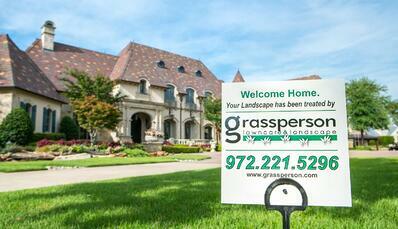 The Flower Mound and Highland Village, TX, area has many lawn care companies to choose from. You’ve got national lawn care companies—you’ve heard their names on television and radio, and their trucks are in cities across the country. And, there are family-owned businesses that were started right here in Denton County. Should you go with the big name you ran across in a search, such as TruGreen, because you’ve heard it before? Or, is the local lawn care company a better choice for you? We understand how overwhelming the decision can be because there is a lot of information out there. 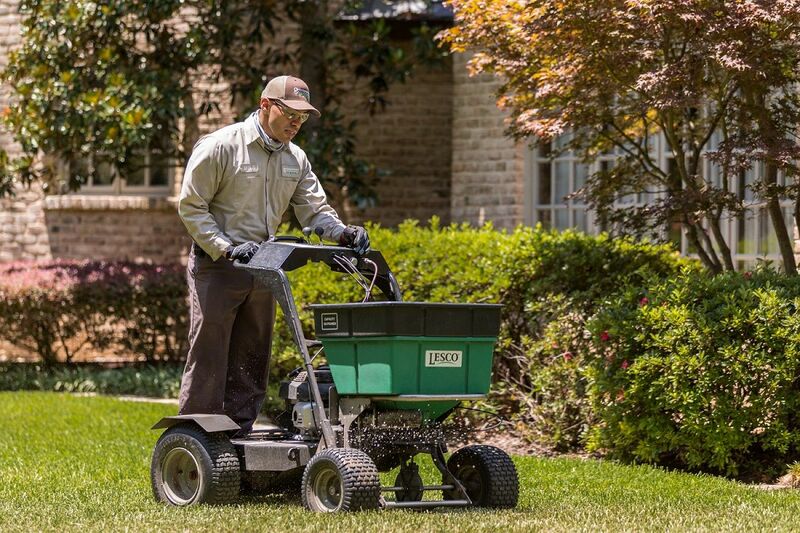 Because we want to help you make the best possible decision for your lawn, I want to take a moment to share some honest, fair information about TruGreen and Grassperson so you can move forward with confidence and partner with the best lawn fertilizer company to suit your needs. You’re probably surprised—even shocked—that the owner of Grassperson is writing an article like this to Flower Mound and Highland Village, TX, homeowners. You won’t find the CEO of a national chain addressing this specific comparison topic. But we’re all about getting you the best lawn on the block, and you need sound information to make the best choice. Ready to filter out the advertising noise and get to the straight facts? 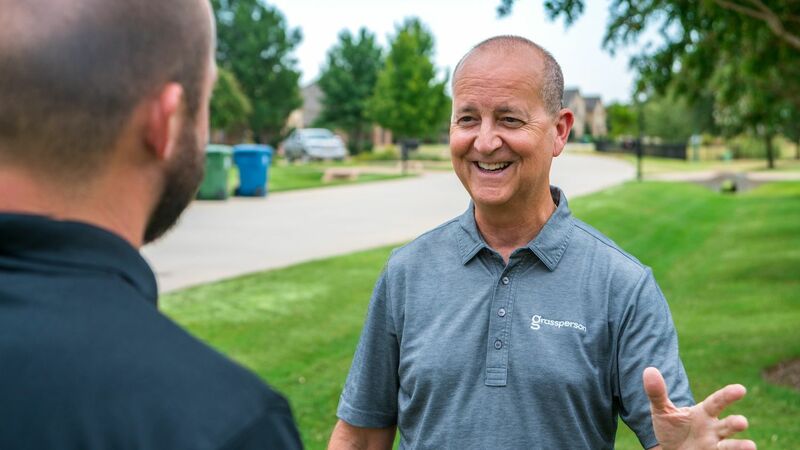 You may have also heard the name Scotts Lawn Service, which also operated in Flower Mound and Highland Village, TX, until 2015 when it was acquired by TruGreen. As you compare lawn fertilizing companies, you’ll notice some big differences between a national chain vs. a family-owned business that operates only in your local area. 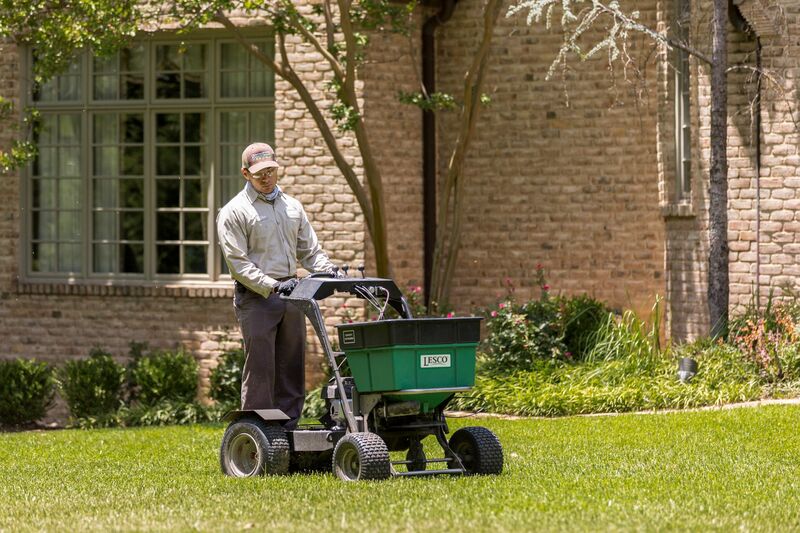 In the most basic sense, one of the biggest difference between TruGreen Flower Mound and TruGreen Lewisville (or any TruGreen for that matter) and Grassperson is the size of their customer base. TruGreen services millions of customers nationwide, and hundreds of thousands in Texas. 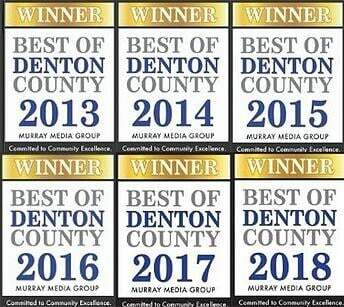 Grassperson focuses on the local Denton County and surrounding areas. TruGreen was founded about 40 years ago and has evolved substantially since its first branches and national expansion. Grassperson has stayed true to its Texas roots since we opened the doors in February 1999 (only 9 years after TruGreen started here). Both businesses have been performing lawn care service for a similar amount of time, but with a very different focus. Grassperson has been committed only to the Flower Mound and Highland Village, TX, and surrounding communities while TruGreen’s strategy has been international growth. 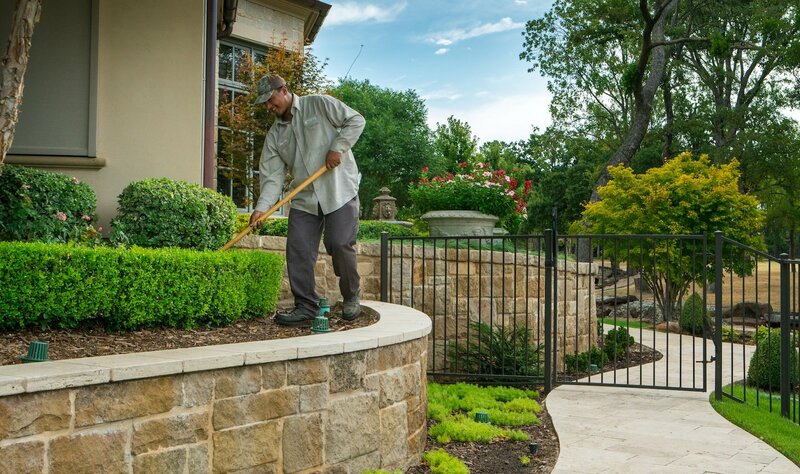 As for services, at a glance, Grassperson primarily serves residential customers, offering lawn care, landscape maintenance, landscape installation, irrigation and holiday lighting. TruGreen only offers a few of these same services: lawn care and tree and shrub care. So far, these companies might not appear to be that different. But, let’s dig deeper. When you hire a lawn care company, you’re partnering with a crew that will be responsible for helping your lawn look its best. The people who are actually performing the work make all the difference. The idea is, you’ll build trust with this crew and the company, and they’ll do more than just apply lawn care products. They’ll also help troubleshoot lawn issues, and offer suggestions for making your lawn even healthier and more attractive. At least, that’s what you hope. You can start learning more about the people at a lawn care company by browsing the company website and Facebook page to learn more about them. How do they treat their people? (Check out the careers pages and find out what benefits they’re providing.) Do you sense a level of camaraderie and teamwork? Click on the About Us pages and see if there’s a real face behind the business—someone who can relate to you. Read blog articles and see how they share information about what it’s like to work at the company. TruGreen has somewhere between 13,000 and 14,000 employees, so you’re not going to get a real feel for who’s going to visit your property until you’ve signed a contract. And, with potential turnover of revenue-driven, large companies, you might not see the same lawn care technician all season. Also, it is common for TruGreen to hire people with little to no experience, while Grassperson seeks out experienced lawn technicians. Also, check out staff certifications and special industry licensing. This shows how a company invests in its people by providing training and continuing education so they can develop careers in the field. Grassperson’s experts have a combined 75 years of experience and clearly takes pride in education, having completed a Lawn Care Management certification course through the University of Georgia, belonging to the National Association of Landscape Professionals (NALP) and holding licensing through the Texas Department of Agriculture. Grassperson is a family business, and its people also speak about the family environment on the website and in blogs. You probably won’t find any personal insights or stories from employees at TruGreen because they are more focused on corporate messaging. We recommend asking about employee retention when you interview companies because this is a great indication of how a business treats its people and how satisfied the workers are. 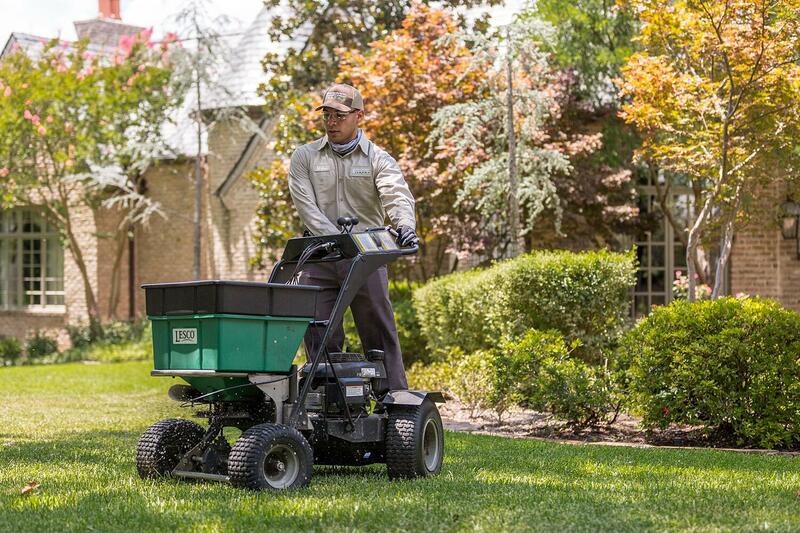 Happy crew members take pride in their work, and this means taking good care of your lawn. Grassperson’s 7-step lawn care program costs $300 to $450 per year for an average sized yard. A smaller 2,500 square-foot lawn costs about $42 per application, while a much larger 7,500 square foot lawn costs $64 per application. Most lawns fall somewhere in between this range. 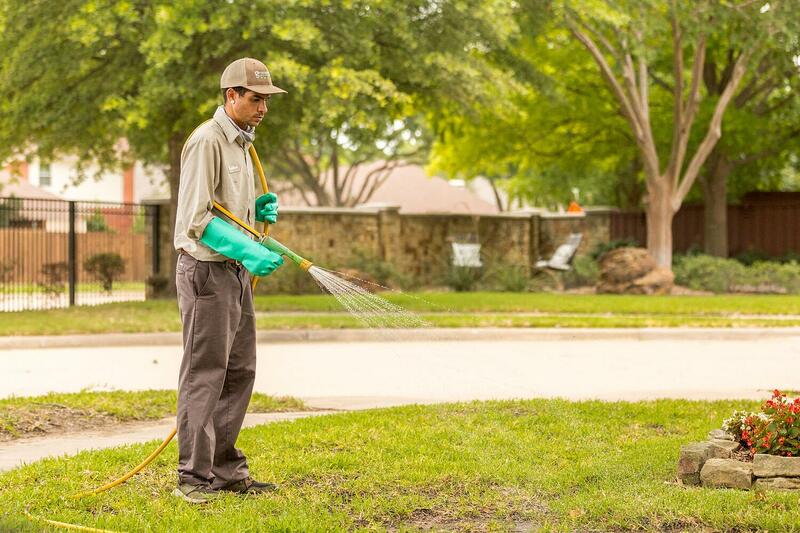 The key is finding out the exact cost per application—and understanding what you’ll get with each lawn care application. That way, you can make a fair pricing comparison. It’s a good chance that a large national company’s prices will come in lower—at least for the first year. Some companies will offer a special rate to get a customer on its program. Then, the next season, the pricing goes up to the “real price.” So, be sure to find out if the deal you’re getting is a special or the actual cost for lawn care services. Pricing can be deceiving if you look only at the annual cost of a lawn care program—or even if you look at the cost per application. One program might cost more but you could be getting a lot more out of it. Grassperson’s lawn care programs are approved by Texas A&M University, a premier horticultural institution. The 7-step lawn care program is tailored to individual properties’ needs and is a year-long program designed to make the lawn look great in every season. Grassperson offers Silver, Gold and Platinum programs so you can choose the level of service and price you’re comfortable with. This gives you some flexibility. Not all companies offer levels of service, so you could get stuck in a cookie-cutter program that doesn’t exactly meet your lawn’s needs. So, ask about program “levels” to find out if you have service options or must go with their one and only program. (They’ll probably sell it as “recommended,” but that’s simply because there are no other choices.) Find out when the applications will happen so you can assure that your lawn is getting attention year-round so its appearance won’t drop off in winter and early spring. 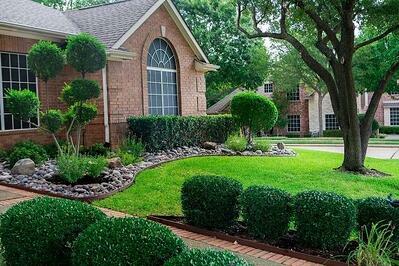 We believe in getting solid, accurate information when comparing lawn care companies. This is a big decision! Now, you know that TruGreen employs 13,000 to 14,000 people. It’s about a $1.35 billion dollar company with a headquarters in Tennessee. It has been in business for 28 years. Grassperson, on the other hand, has 58 employees and 20 years in business. It has 25 trucks in circulation (and counting), and more than 2,000 customers. TruGreen’s numbers are larger—but that’s what you get with a national company that has countless branches. Think about what numbers matter the most: customer retention (percentage of cancellations per year). At Grassperson, retains 94% of customers year over year. That speaks to the quality service that is provided. You probably won’t find retention rate numbers announced at a big national company. Most lawn care companies offer a free estimate or consultation before they start service with you. But how that estimate happens can be very different from one company to the next. Complex properties can require more careful, on-site measuring to get an accurate estimate. So, when you are comparing pricing from TruGreen and Grassperson, keep this estimating process in mind and be sure the measurements you compare on different estimates are for the same square footage. 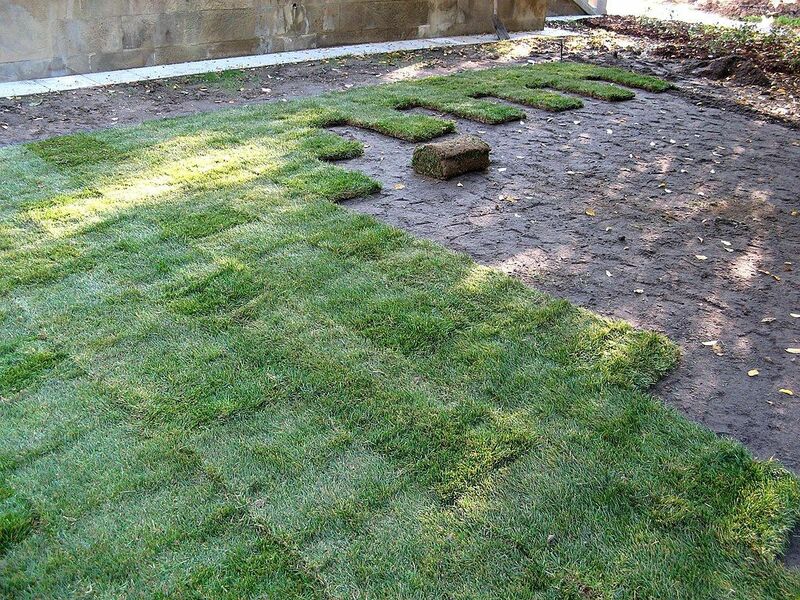 You could be getting numbers based on two different measurements for your lawn. Customer Feedback—What Are People Saying? It’s always a good idea to talk to people who get services from the lawn care company before agreeing to a contract. What do they like about the company? What do they think their lawn care company could do better? Also, when looking for a lawn fertilizer company check their rating and read their Google reviews. 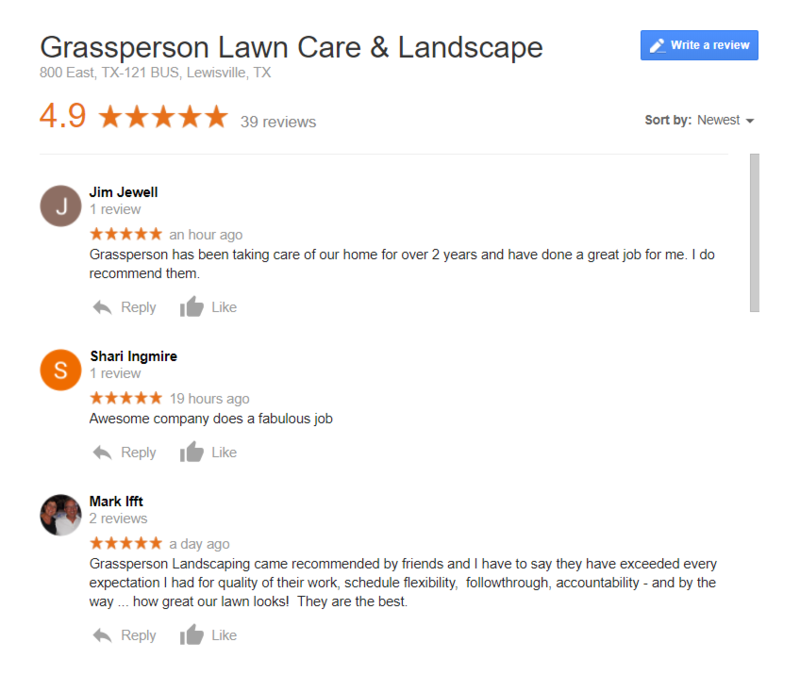 The local branch of TruGreen has 4.0 stars with 38 reviews, while Grassperson has 4.9 stars and 39+ reviews from happy clients who regularly chime in with their positive feedback (at the time of this article publishing). While you’re checking out customer feedback, find out how the company is involved in the local community. What do they do to give back? A locally owned business naturally has more “skin in the game” because its owners and employees live, work and play right in town. They’re bound to be more involved in making your community a better place. You have access to lots of information online about TruGreen and Grassperson, and researching the internet can be helpful for learning about your lawn care company options. But, it’s not always easy to filter out the good information from the bad. Also, with some sales tactics that companies can use to get your business, it can feel like they’re trying to pull a fast one. We get it. Hiring the best lawn care company shouldn’t feel so hard. We hope that this honest comparison of TruGreen vs. Grassperson helps you make the right choice for your lawn. We believe in transparency and getting accurate information out there so customers can feel confident in who they partner with to care for their properties. At the end of the day, the biggest difference between Grassperson and a national chain is how our people care about your lawns and want it to be the best. Our team has longevity and will be there for your lawn’s needs, while the local TruGreen employee is probably going to leave to work for someone else or change careers completely. Also, we’re on the same page with our customers, and they trust us. We see our customers around town—at the youth baseball game or while out running errands. We’re more than a “service provider” to our customers. We’re neighbors. 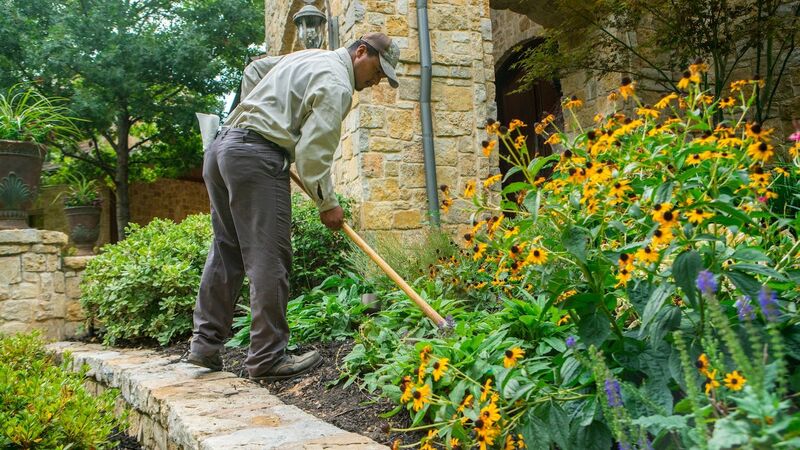 Want to learn more about lawn care services for your Flower Mound or Highland Village, TX, home? The process is simple. Just request a free quote and find out how you can get the best on the block. Seriously, you deserve it. ← How Much Does Lawn Care Cost in the Flower Mound and Highland Village, TX Area?